Browse through the Tumblr tag page “iPhone keeps restarting” and you’ll find hundreds of posts where users are seeking help for the glitch, venting, or sharing humorous visuals to convey how annoying it is when your phone restarts for seemingly no reason, often multiple times per day. 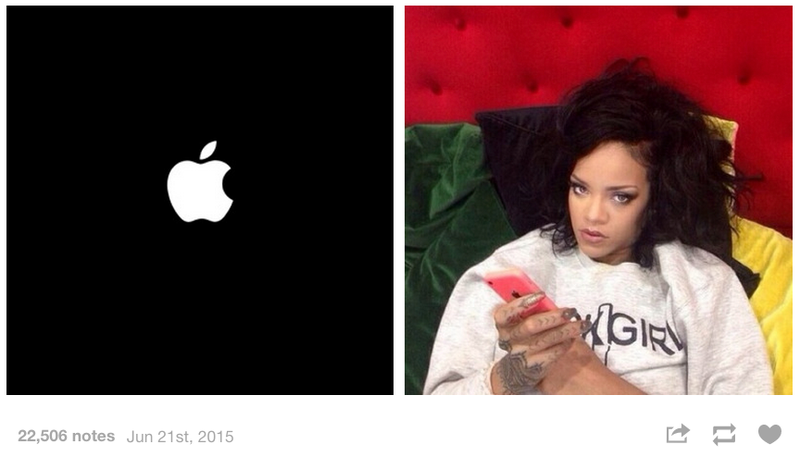 This is a pretty typical text post on Tumblr about iPhones restarting. That it has 400+ notes in solidarity, and is one of many of its kind, is indicative of a wide-spread software problem. Apple’s support FAQ acknowledges restarting as an issue and suggests that you update your device to the latest iOS. But many of those reporting restarts are fully updated, with the issue cropping up within the last week or so. The glitch has been with me for a while—I thought it was just my old, overworked phone. Turns out it’s happening to tons of people, who take to social media to air their pain. The most recent Tweet was made hours ago, but the timeline on the subject is long. There are hundreds and hundreds of similar Tweets. A recent innov8tiv article claims to have tech fixes that will help solve the nuisance—a hodgepodge of ideas like turning mobile data on/off, resetting or restoring your phone, deleting “bad” apps, and more. innov8tiv also says the glitch is happening on older phone models, but many of the reports I’ve seen specify that they have a 6. There is a lot of misinformation out there, and no one, including Apple, seems able to pinpoint the problem. So what’s going on, Apple? This is a widespread annoyance with no fix or clear communication in sight. All we know for sure is that iPhone users are not amused.